When we think of driving under the influence (DUI), we normally think of someone under the influence of alcohol. However, the typical charge in the Commonwealth of Massachusetts is called operating a motor vehicle under the influence (OUI) of intoxicating liquor or drugs. This is because driving while on drugs is just as dangerous as drunk driving and is treated the same way in a civil car accident lawsuit. To understand the dangers of driving while on drugs, we can look at recent horrific car crash involving a pedestrian death in Washington, DC. According to a recent news article from Fox, a man was driving his SUV when he allegedly sideswiped several vehicles and rear-ended another vehicle before fleeing the scene of the accident. After fleeing the scene, he allegedly ran into a traffic light pole, which hit a building. He then lost control of his vehicle near the Government Accounting Office (GAO) building and rolled over, landing on a pedestrian and killing him. The car also hit another person in its path, causing serious personal injury. Police suspected defendant of driving under the influence of drugs at the time of these serious accidents. An affidavit filed in the DC court known as a Gerstein Affidavit to support probable cause alleges defendant admitted he had taken Motrin, Percocet, an antibiotic, Adderall, another prescription drugs. Defendant allegedly said his dentist prescribed him these drugs and that he also likes to smoke PCP. PCP (also called angle dust) is a dissociative hallucinogenic normally sold in a liquid form in which cigarettes are dipped and smoked. Police further allege this “cocktail of drugs” contributed to this fatal car accident. One witness to the fatal car accident said the car was moving so fast it appeared to be flipping end over end before landing on victim and crushing him. 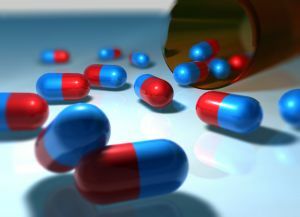 Boston drugged driving accident lawyers often see cases in which defendant was high on prescription drugs at the time of a serious car accident. Many people think that it is okay to drive after taking these drugs, because a doctor prescribed them. This is not true. Defendants in drugged driving accident cases are not being sued for illegal possession of narcotics; rather, they are being sued for causing an accident while under the influence of intoxicating drugs. It doesn’t matter whether or not the drugs are legal. This makes sense, because alcohol is also legal. As long as a person is over the age of 21, they are legally allowed to consume alcohol in the Commonwealth of Massachusetts; they are not legally allowed to drink and drive, as this is illegal and also negligent. Often, drivers are found to be under the influence of prescription painkillers, such as Oxycontin. However, in the greater Boston area, with heroin being so prevalent, there are multiple methadone clinics administering oral doses of the drug to people trying to fight their addiction. Methadone, however, also causes impairment similar to heroin, and people sometimes go the clinic, get their dose of methadone, and then drive away. These people are acting in a negligent manner, and, if they cause an accident, they can be found liable for a drugged driving car accident. In the DC case, police charged driver with second-degree murder in addition to DUI. em>If you or someone you love has been injured a Boston drunk driving accident, call for a free and confidential appointment at 1-888-367-2900.